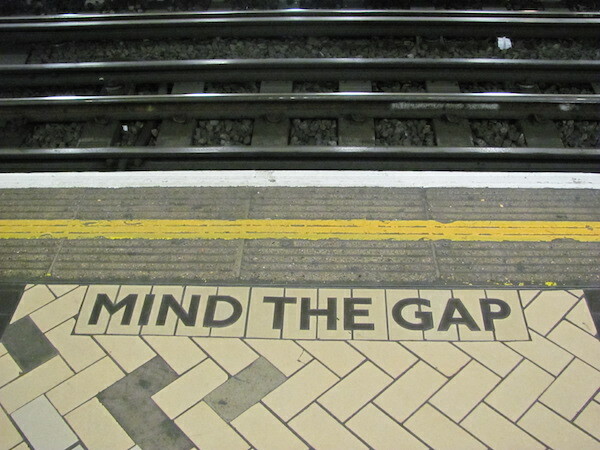 know and use to one of the trendiest and overused buzzwords. Suddenly every marketer has a blog talking about marketing. Every brand that wants to get more visitor to their website and create awareness is creating link bait posts. So how do you stand out? A quick review of my Feedly account shows that I’m following over 45 different marketing blogs; going to alltop.com reveals more than 60 blogs that I wasn’t aware of or had the time to subscribe to them. This means that there are at least 100 above average marketing blogs out there, producing content each day. Some of them by companies bigger than yours that can afford to hire a full time content marketing team. 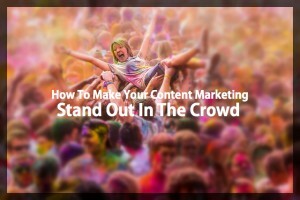 Now you have to stand out to reach your target audience. One of the most popular sought out tips in order to boost your engagement and get more traffic is to simply “write really great content”. Yawn. And untrue. 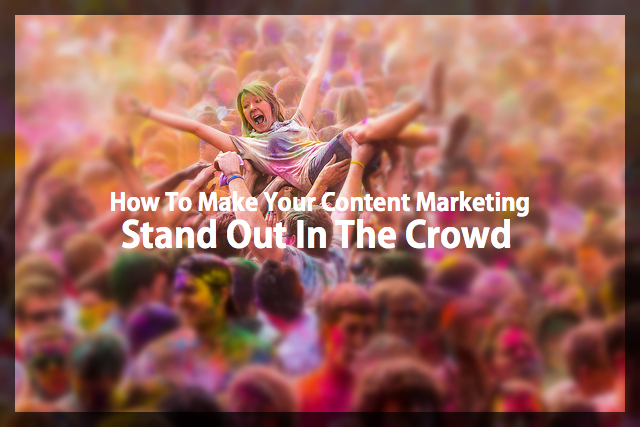 Writing great content shouldn’t be a tactic to stand out. It should be your default state of mind. If the content you’re currently producing is not good, than you would never succeed, because it’s not worth reading. I hope you know that by now. Notice that I didn’t say it should be the very best content out there. It should be really good, hopefully better than most. If you wait to get to the point where you’ll create the best content on the web than you probably won’t ever write a single post. If writing great content isn’t a tactic to get discovered, what can you do to get noticed and grow your readership? As we’ve already established, there are tons of blogs out there covering the same topics as you and fighting over the attention span of your target audience; but for some reason, your target audience isn’t reading only 1 blog, as they’re probably subscribed to a few of them. Ever stopped to think why? We subscribe to different blogs because each one covers a certain aspect of our area of interest. Different aspects can mean different topics, but it can also refer to a format, tone of voice, frequency, depth of articles and so forth. If you want to stand out, you’ll need to map and analyze what the most influential blogs in your niche are publishing and find the gap. Find what isn’t getting covered, what formats are being neglected and start planning your own content based on that. If you want to stand out in an over-crowded place, don’t try to do what everybody else is doing. Find the way to do what everybody else is doing, but different. 2. Target small niches to get bigger. Everybody’s writing posts for marketers, yet not many are writing tips for marketers who have a budget of only 150$ per month. A lot of people are writing tips on how to be more productive at work, but not many are running a blog focusing on being more productive as a product manager. In their book, “Origin of the Brands”, Laura and Alan Ries emphasize that creating a lasting brand is about branching out. The more focused you’ll be on a certain niche, the better you’ll likely dominate it. The thing about being a thought leader is that the second you get to that status, you join an exclusive group. Think about authors who got to be best sellers in a very specific niche – everything they’ll do afterwards, they will do from a leader’s point of view, even if they cross niches or industries. Dominating a niche is your key to become a leader in bigger communities as well. 3. Network with the big boys. If you’ve ever watched Derek Sivers’ video about creating a movement, you will see he emphasizes the importance of the interaction between the leader of the movement and the first follower. In this video, you are not the leader, you are the first follower. The dominating blogs in your niche are the leaders, your job is to be a great follower and interact with them. You need to engage with them, get their attention and eventually get them to ‘teach you the moves’. Bringing it all in back to content marketing, you have to start interacting with the leading players in your field. Start with Twitter, Email, leave comments on their blog, and eventually get a guest post on their site or host a webinar together. Getting acknowledged by the bigger blogs will help you get attention and establish your blogging brand. A great way for new blogs to get some attention is by mixing formats as much as possible. Do podcasts, webinar, blog posts, infographics, video tutorials, E-books, whatever is possible. This may sound like a very unpopular advice, but sometimes a great strategy to get noticed is to go all out in terms of different formats and channels. If you promote all the different content types and channels through your Twitter account and mailing list, it creates the sensation that you are everywhere. Different content and promotion channels give more opportunities for more people to discover you. Different content types get different chances of going viral. For example, the post that I wrote for “how SpringSled got over 140,000 users in less than a month” went viral thanks to Growthhackers.com, getting thousands of visits. The SlideShare version got a little less than 1,000 impressions. Creating great content is a must have to get your content strategy going; but If you really want to stand out you will need to focus on doing something different than your competitors. Narrow your niche to go big. Get acknowledged by the big blogs. Mix formats as much as possible. Remember, in a crowded space, it’s better to be different than trying to simply doing what everybody else is doing just louder. What’s your best technique to stand out in a high competitive market?